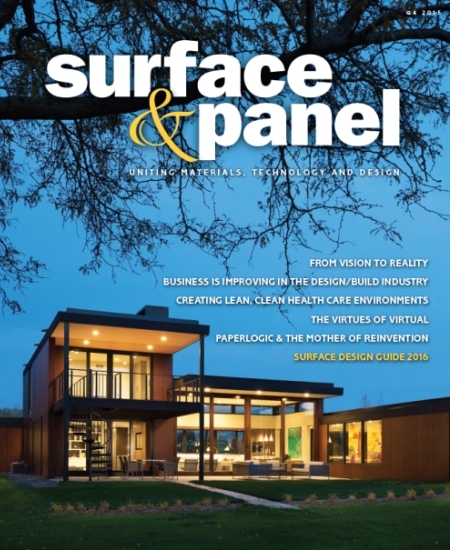 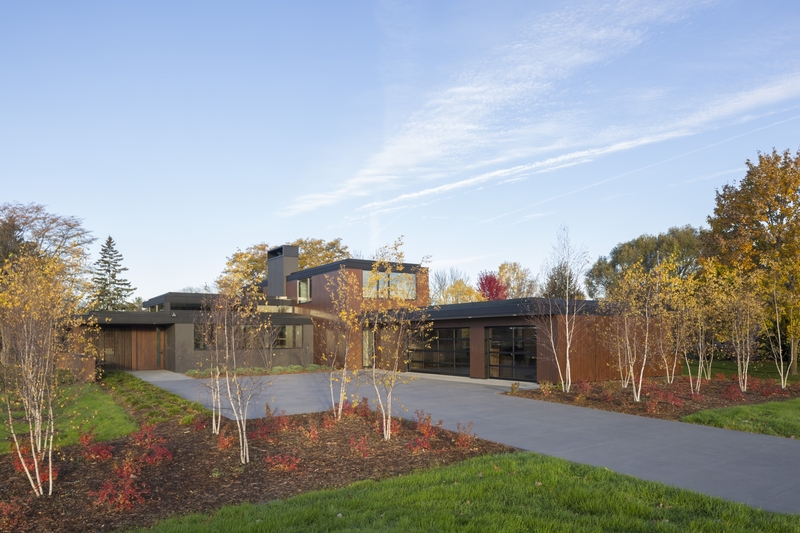 The mHouse, organized by John Aufderhaar, made its grand debut on September 30 in the leading edge Surface & Panel magazine, and is making ambitious efforts to explore the creative possibilities of using decorative alternative materials to construct awe-worth architecture that will redefine contemporary households. 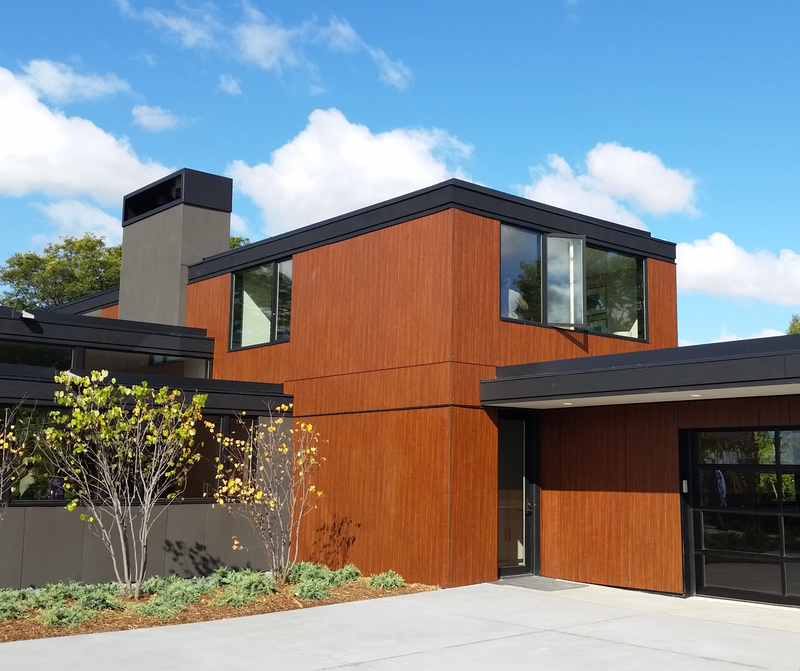 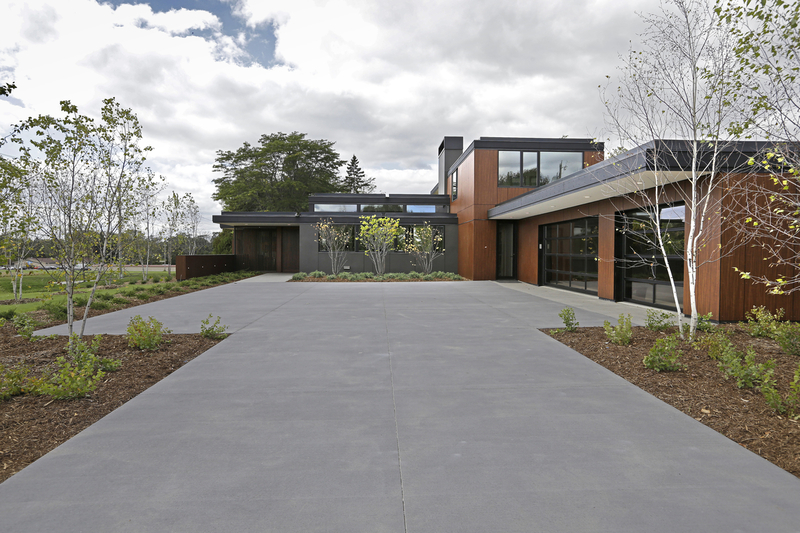 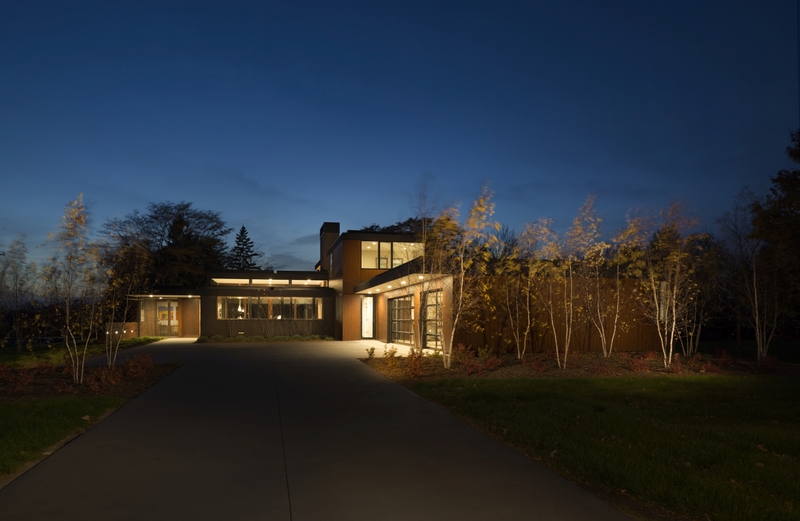 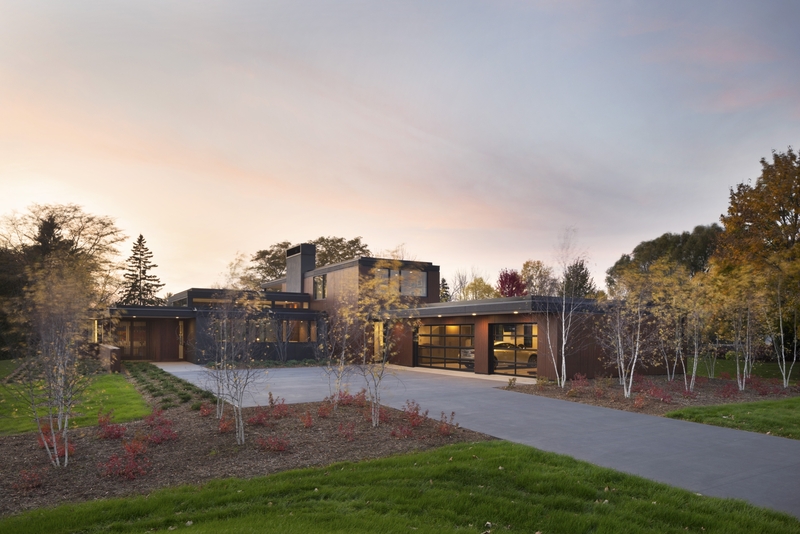 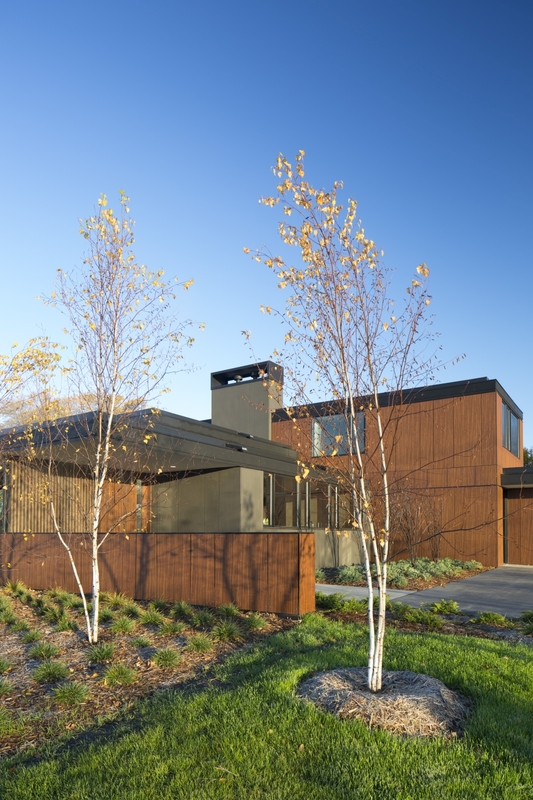 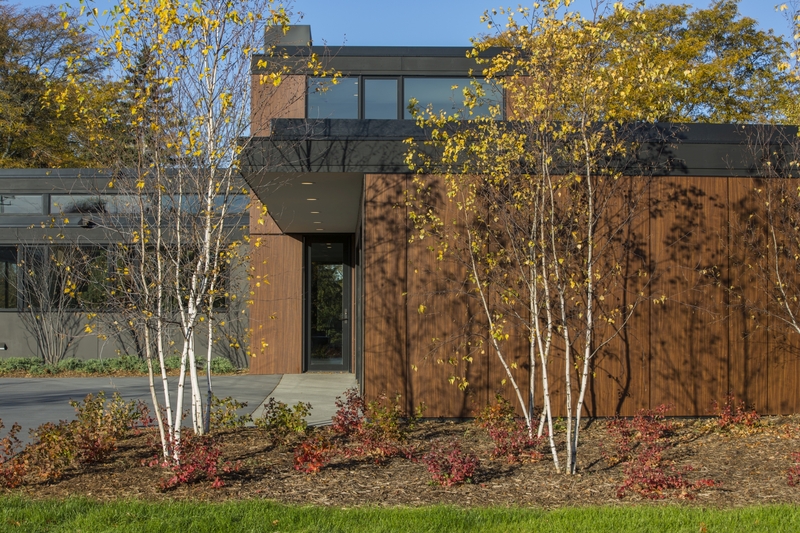 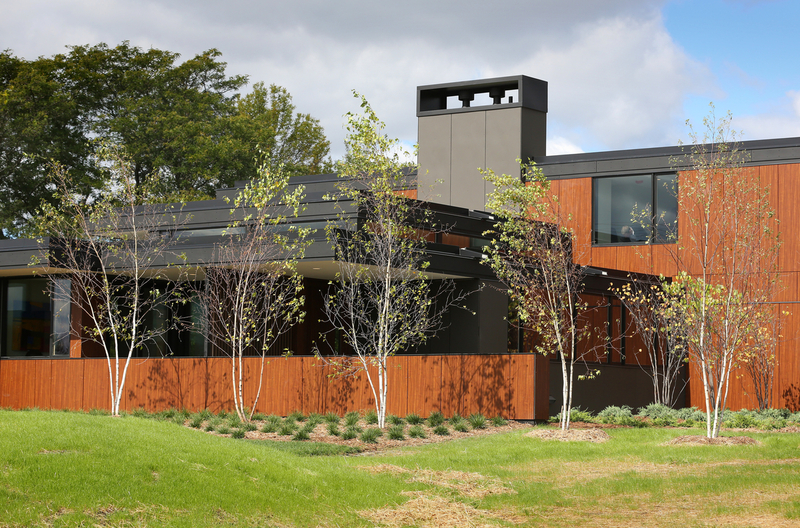 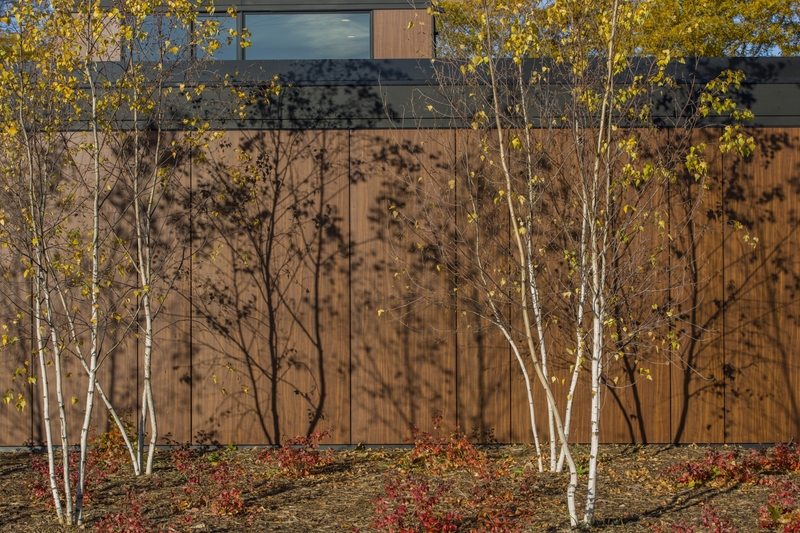 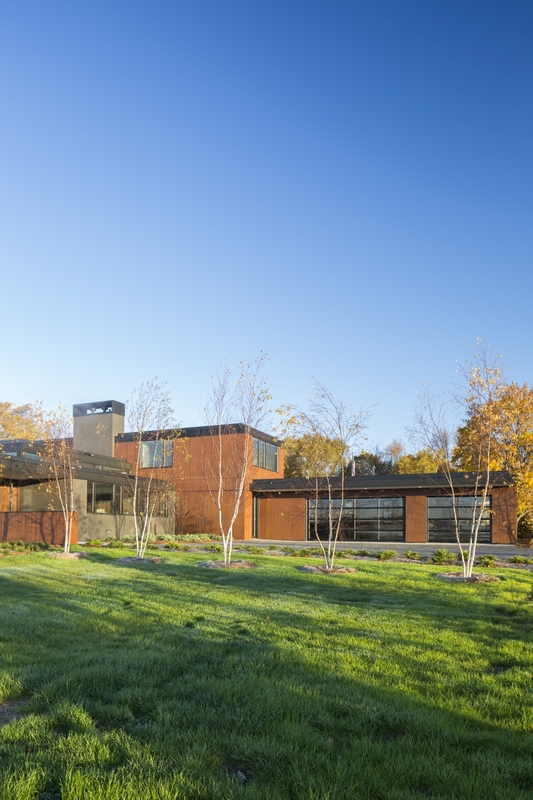 Recognized for their stunning exterior panels, mHouse sought out Stonewood Exterior Architectural Panels as the most ideal and efficient choice to keep true to its modern nature. 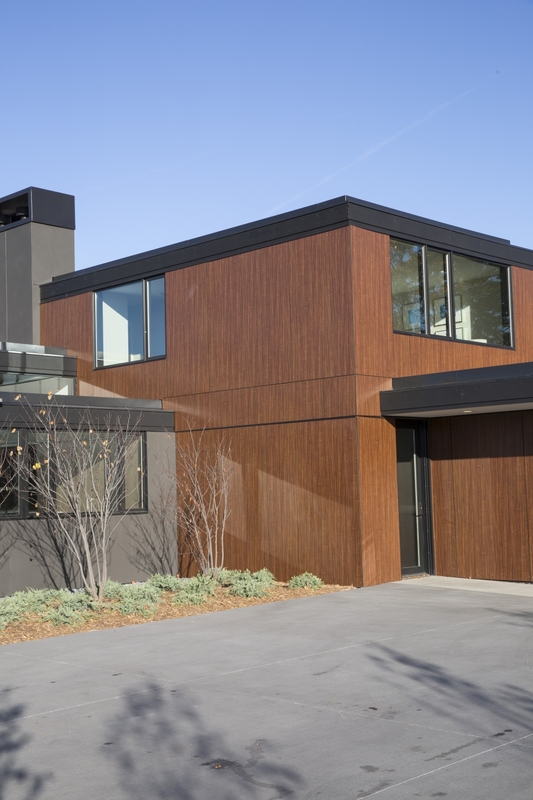 Aufderhaar selected Stonewood panels which are highly customizable and offer an assortment of colors and patterns. 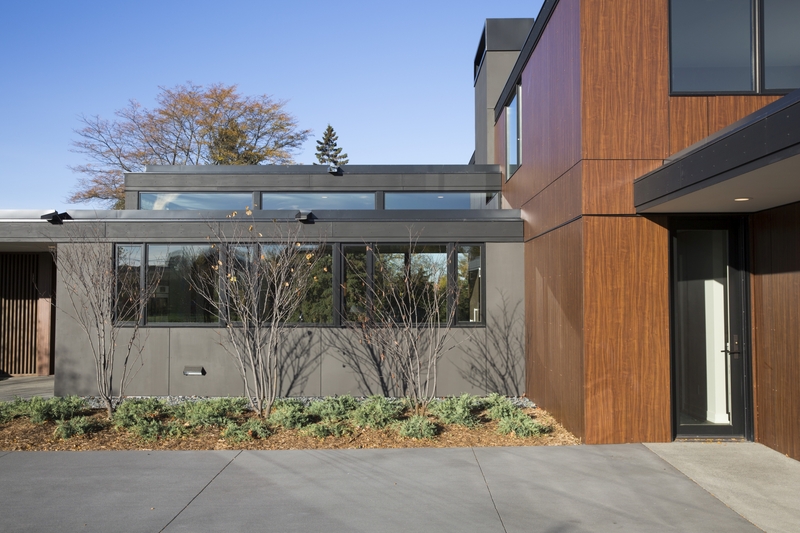 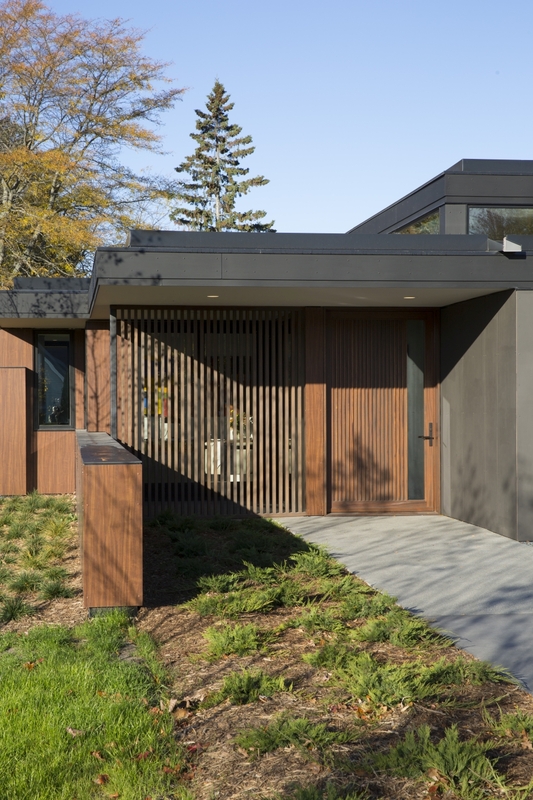 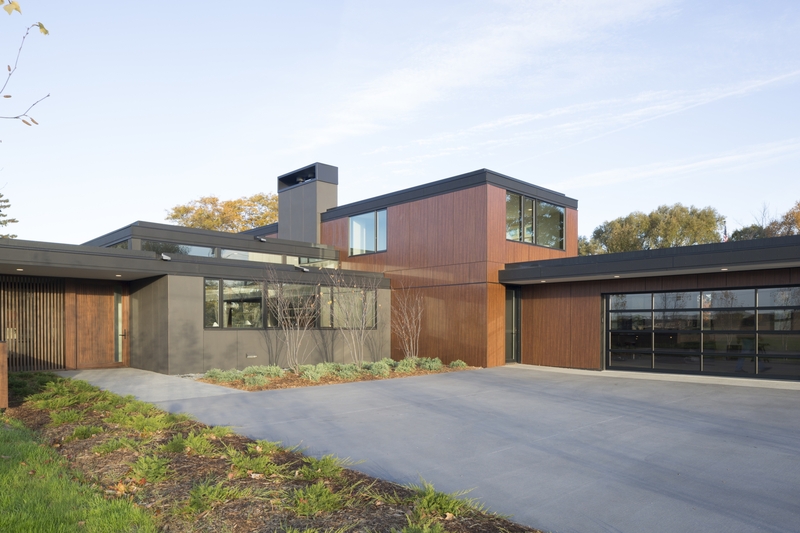 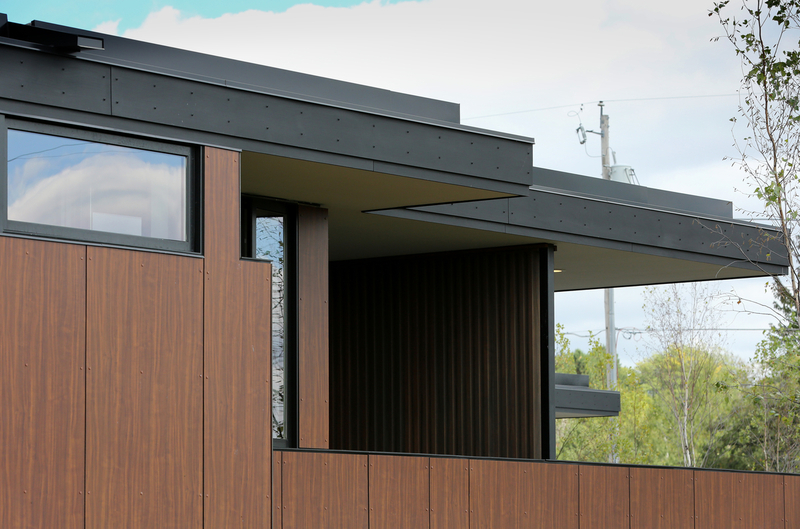 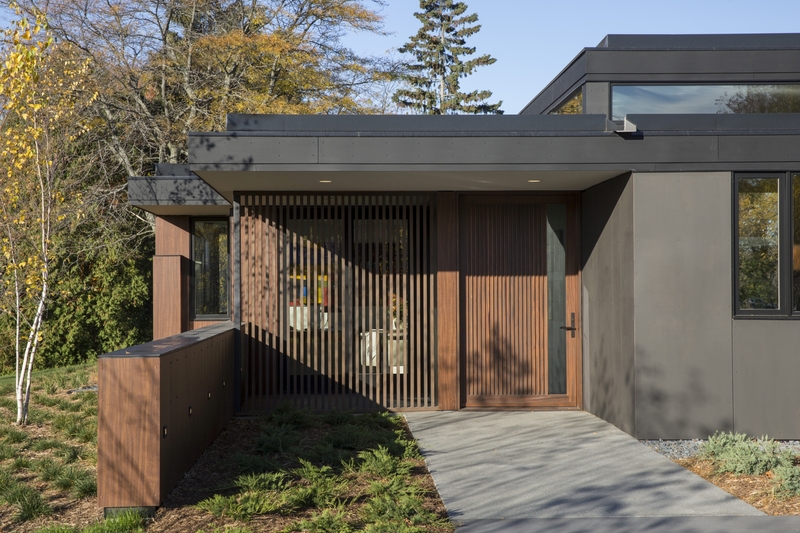 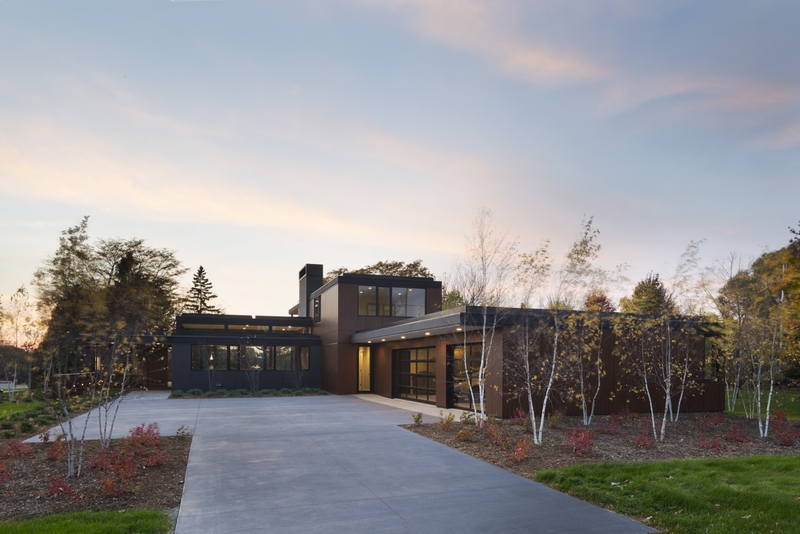 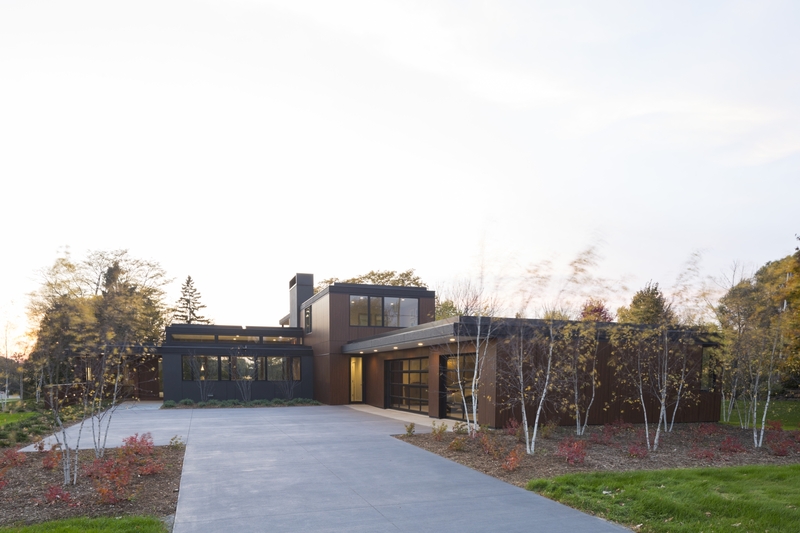 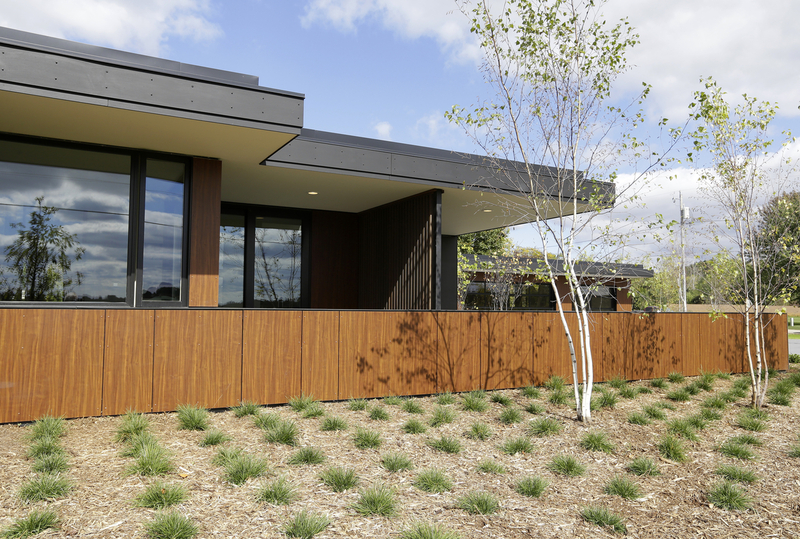 The walnut tone was considered the best option to offset mHouse’s bold black fascia and black windows, which handsomely emphasize the classy exterior finish. 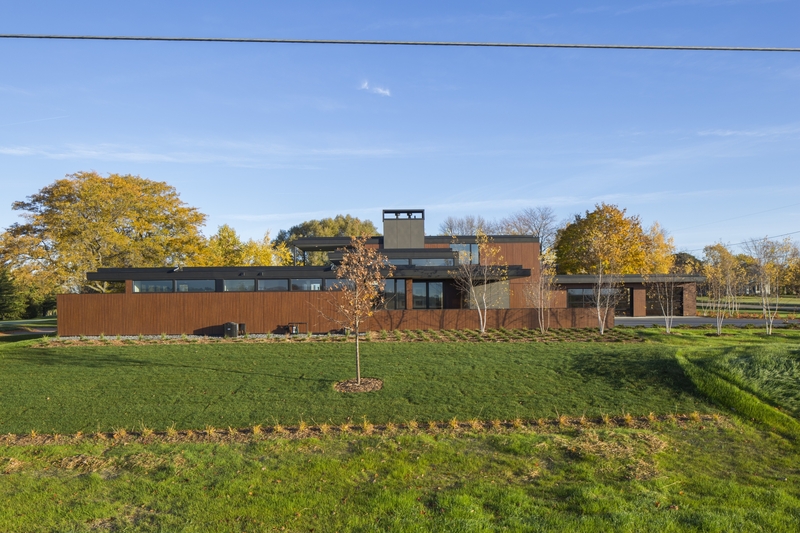 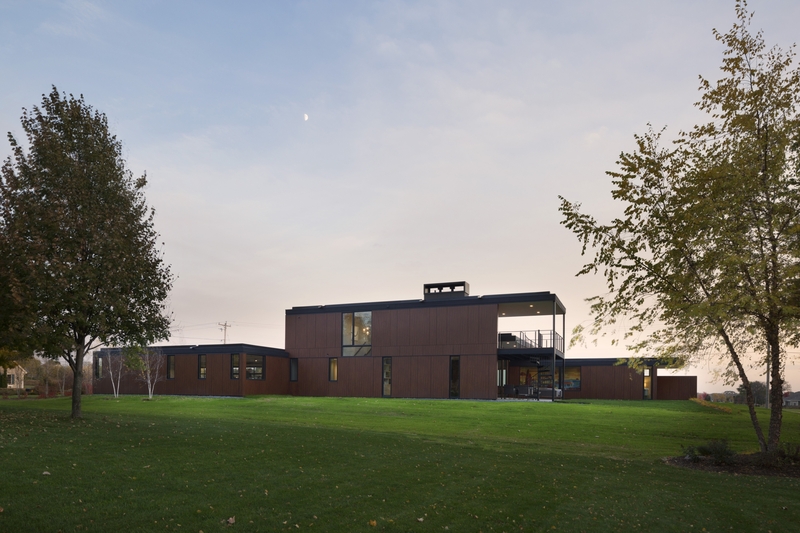 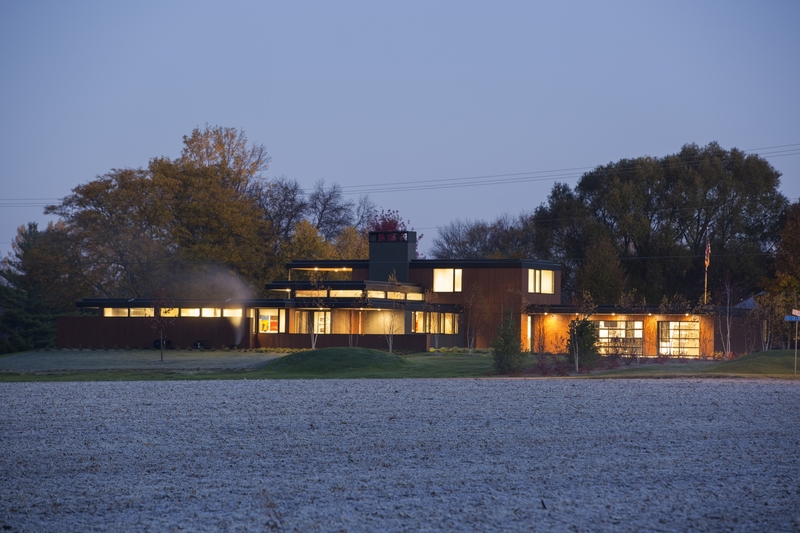 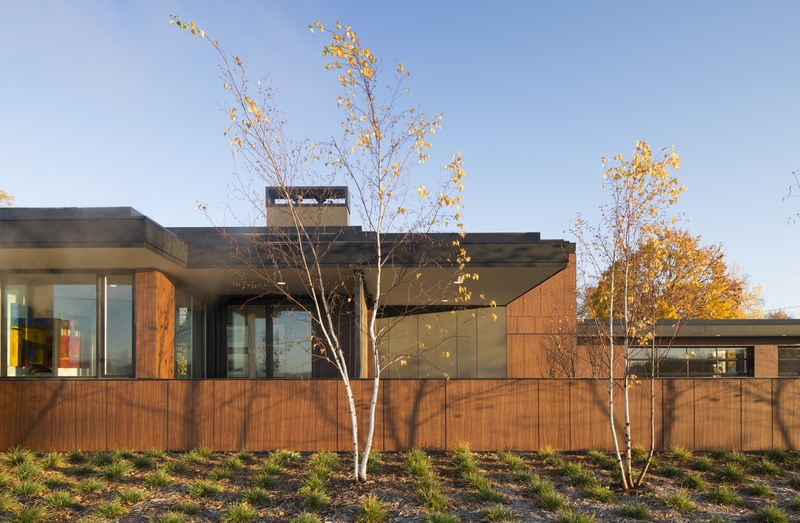 Though the panels are made in 4-by-8-foot sheets, the architect used alternating widths to enhance the visual interest of the building, and was also able to cut the panels on site. 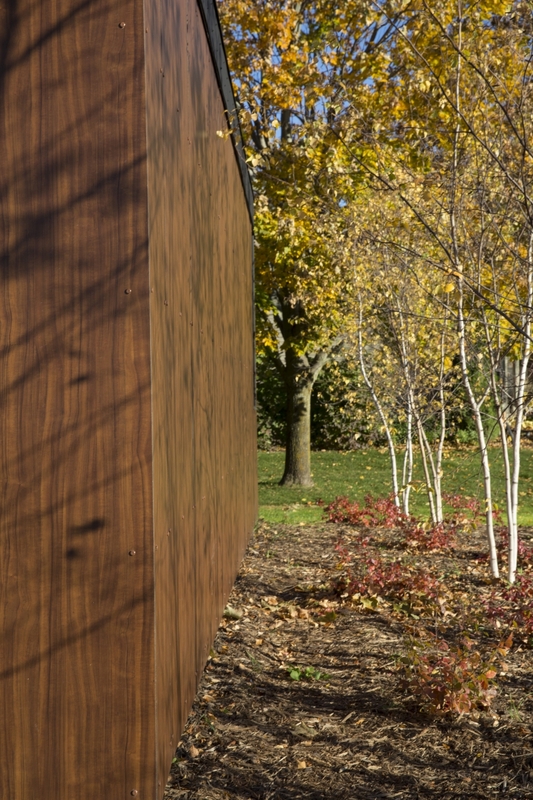 The dynamic structure of the panels allow installation and fabrication to be done with ease and can be cut to fit just about any design. 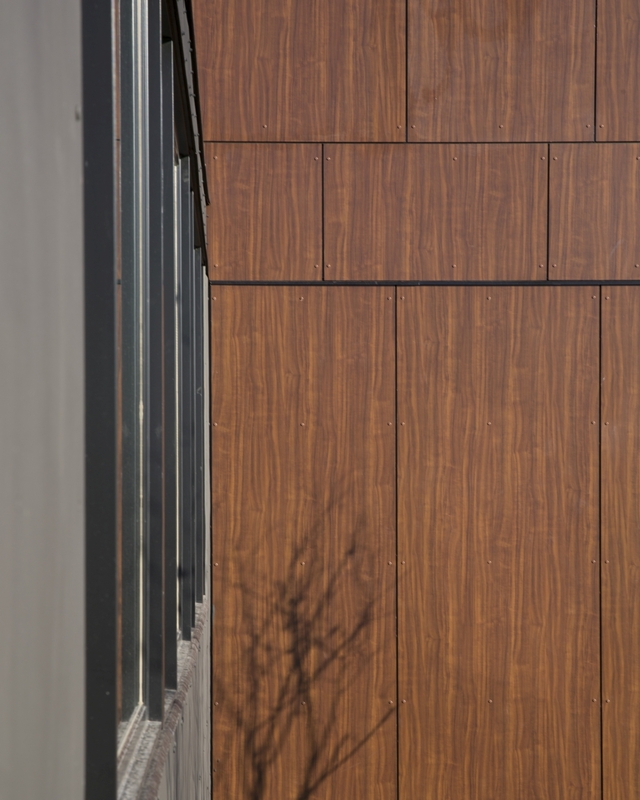 Stonewood panels have self-edging properties which require very minimal sanding or polishing to achieve an attractive edge that is both visually and tactilely appealing to the eye. 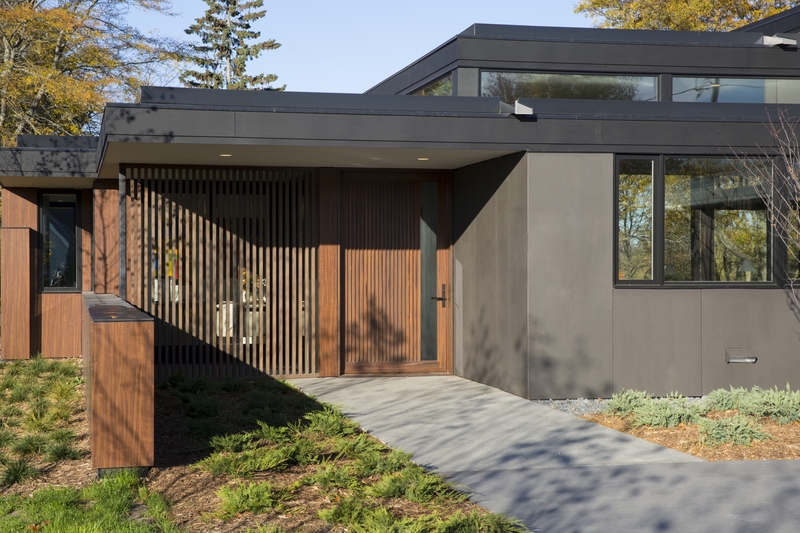 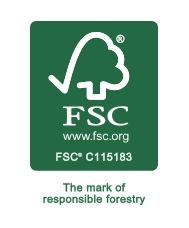 This product was also chosen for its high durability given the extreme weather conditions of southern Wisconsin. 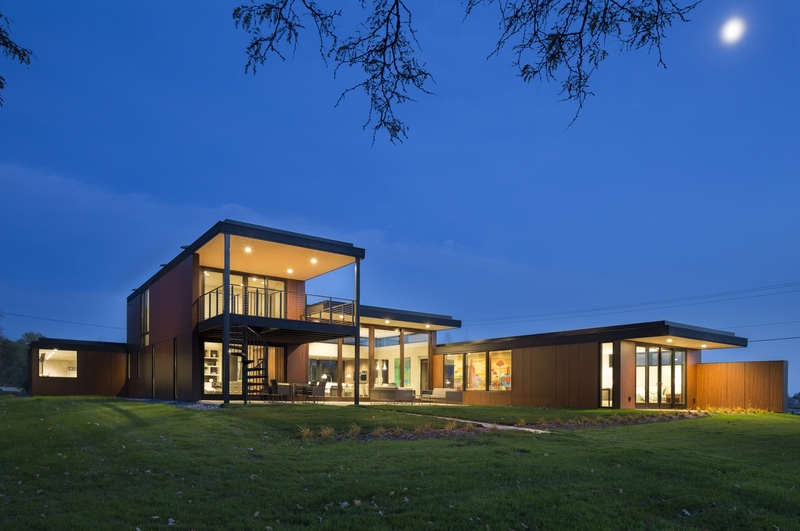 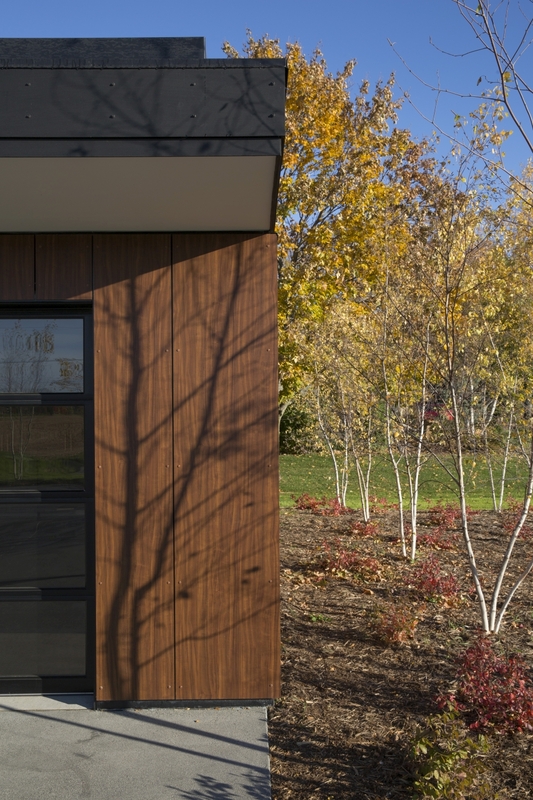 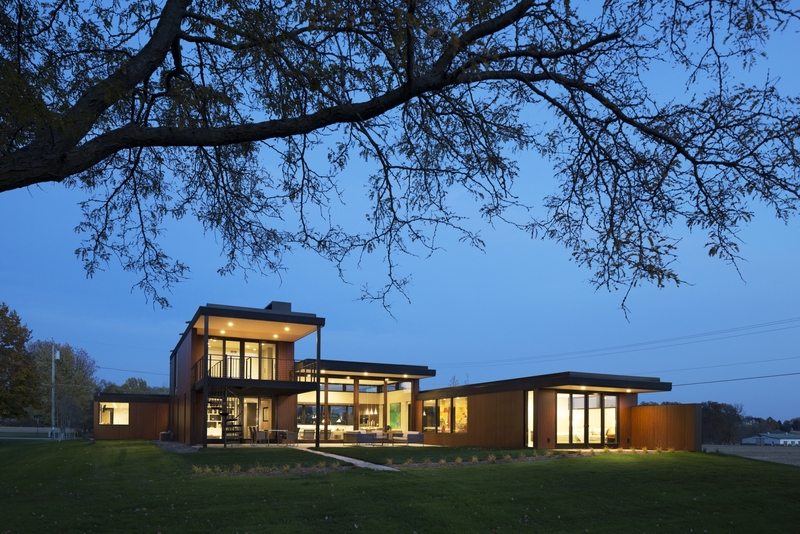 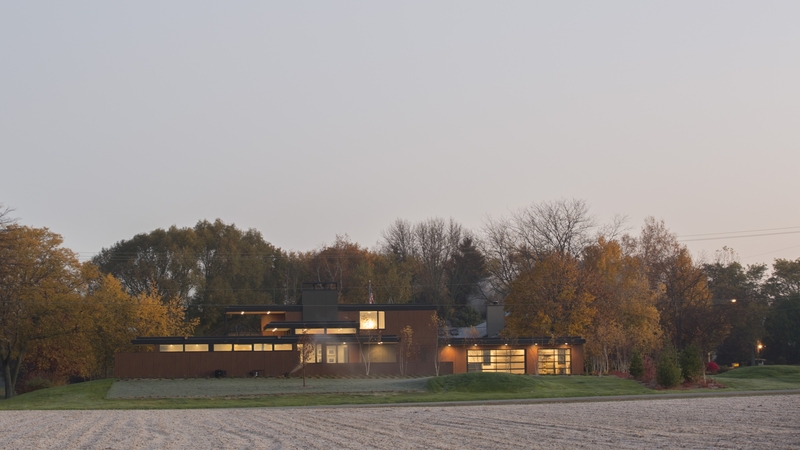 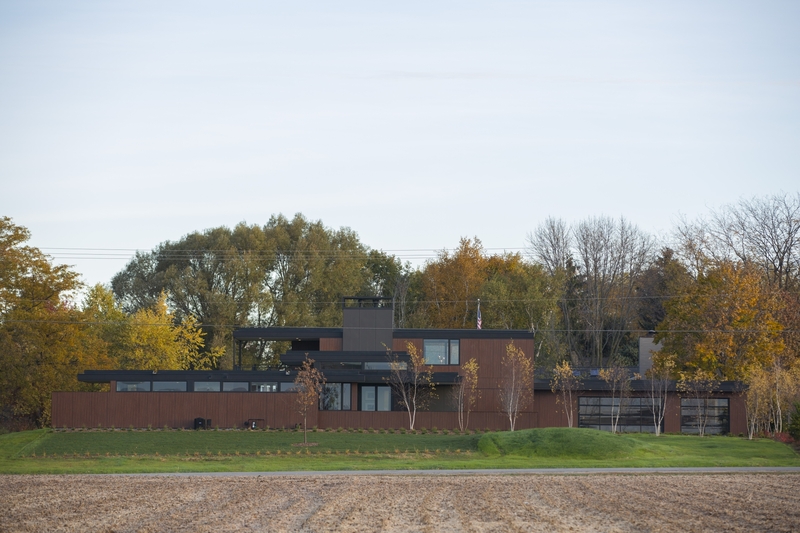 The mHouse aims to be the go-to residential research lab for tomorrow’s modern home. 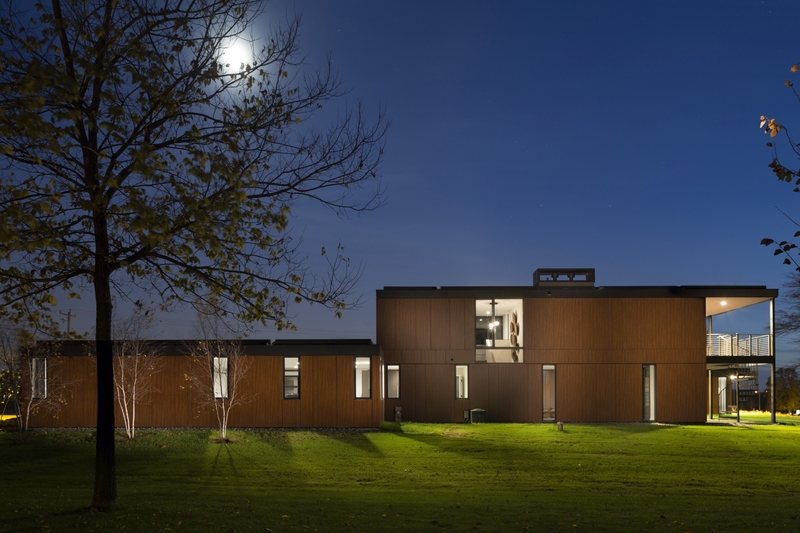 Using “beyond the box” techniques and innovative design, the project aims to create soulful architecture that is truly in touch with its surroundings. 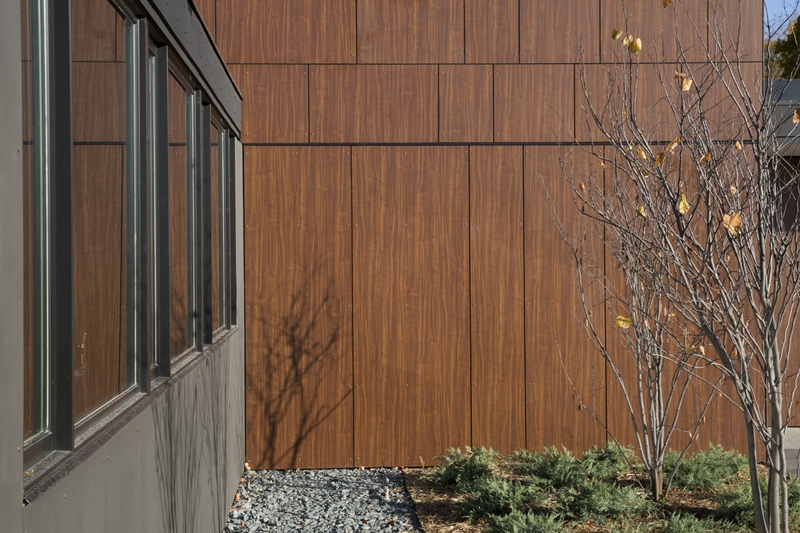 Stonewood Architectural Panels are durable, elegant, and are an ideal exterior cladding panel as part of a bulding facade. 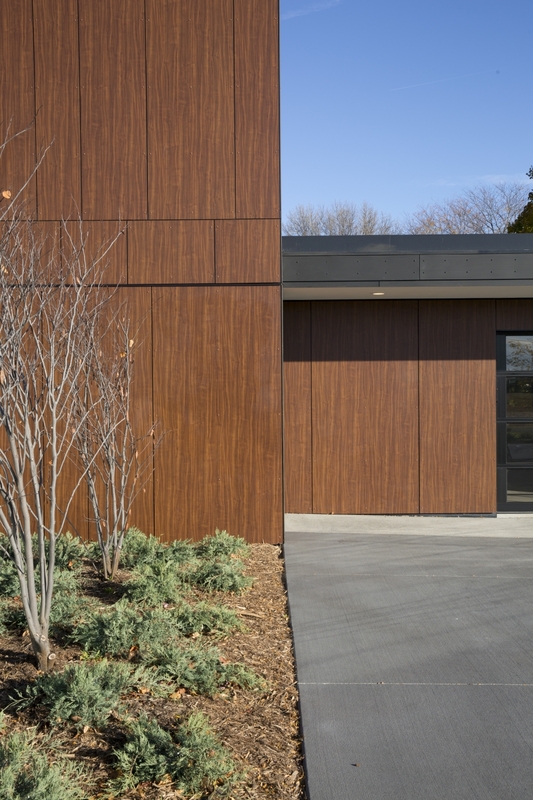 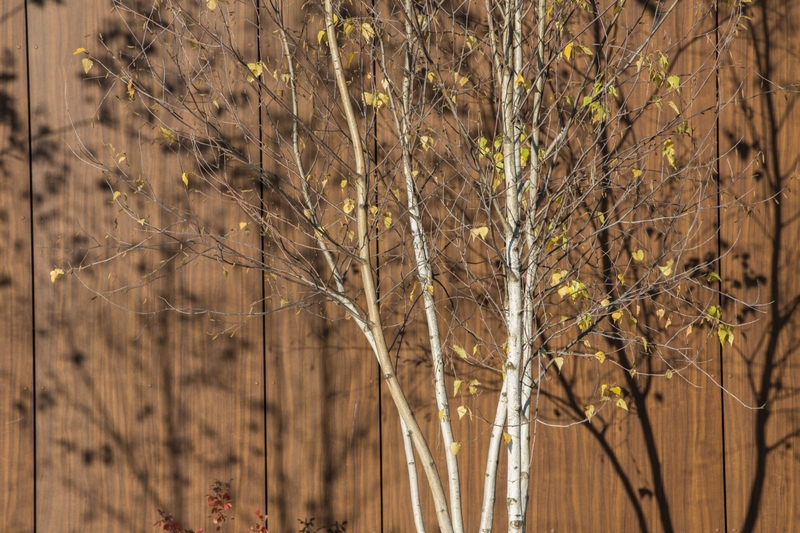 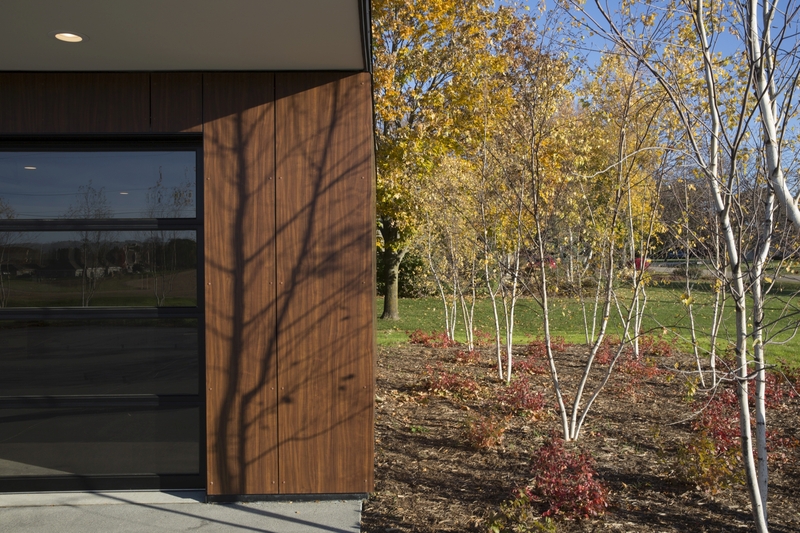 Stonewood Panels excel within a rain screen design, or as interior wall panelling. 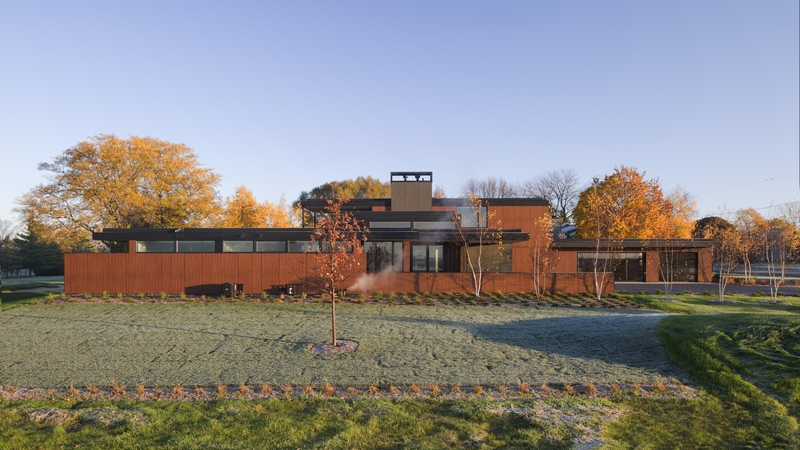 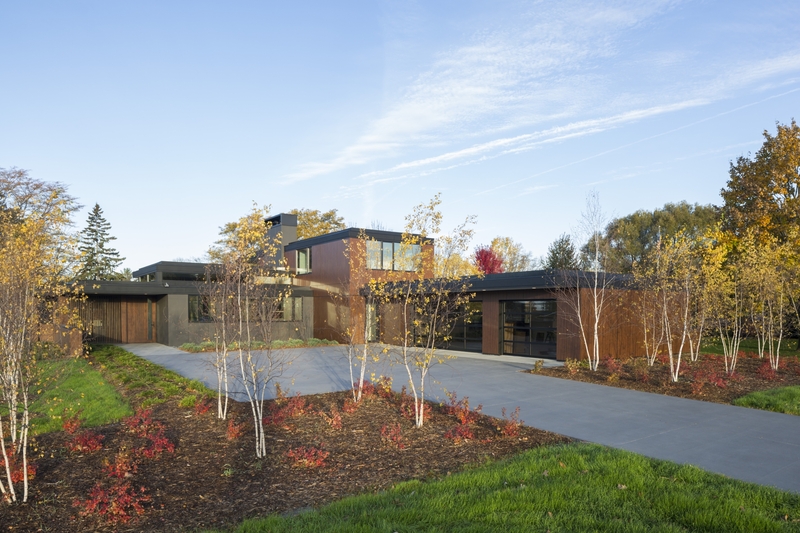 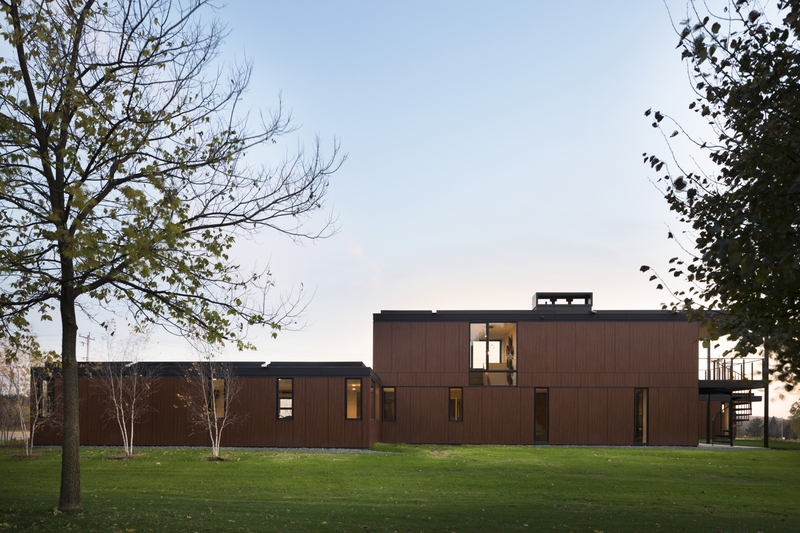 Though the panels are made in 4-by-8-foot sheets, the architect used alternating widths to enhance the visual interest of the building, and was also able to cut the panels on site. 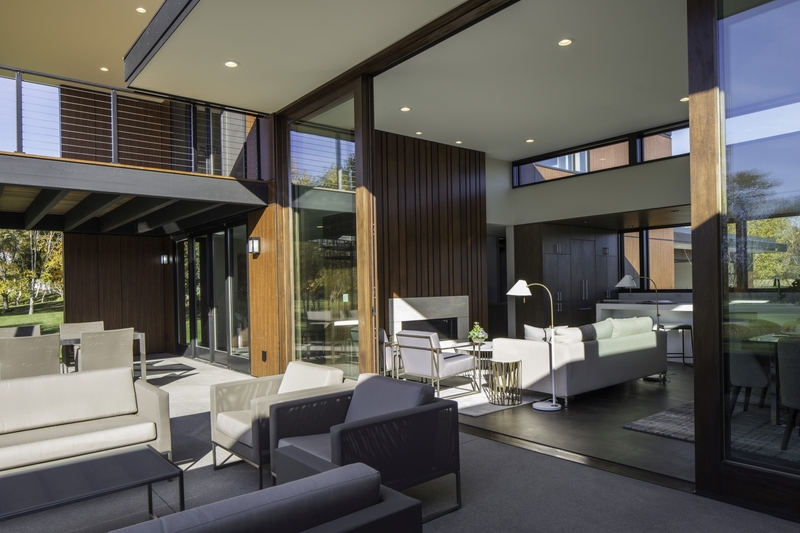 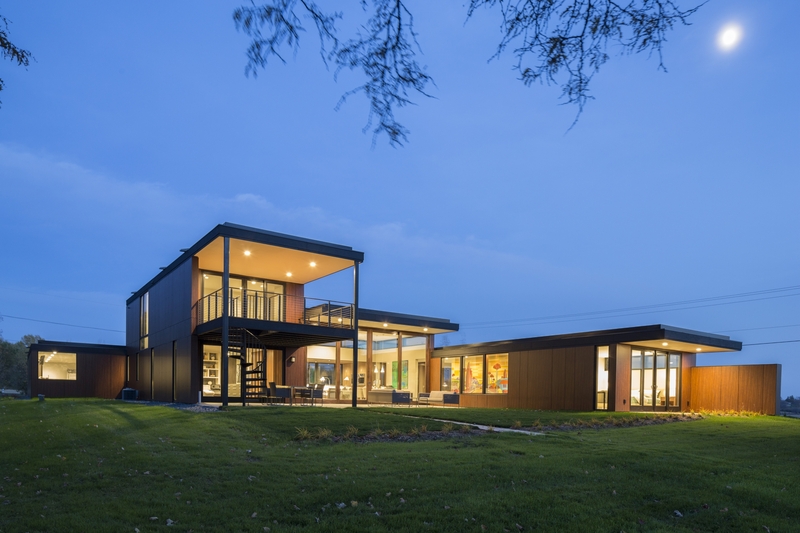 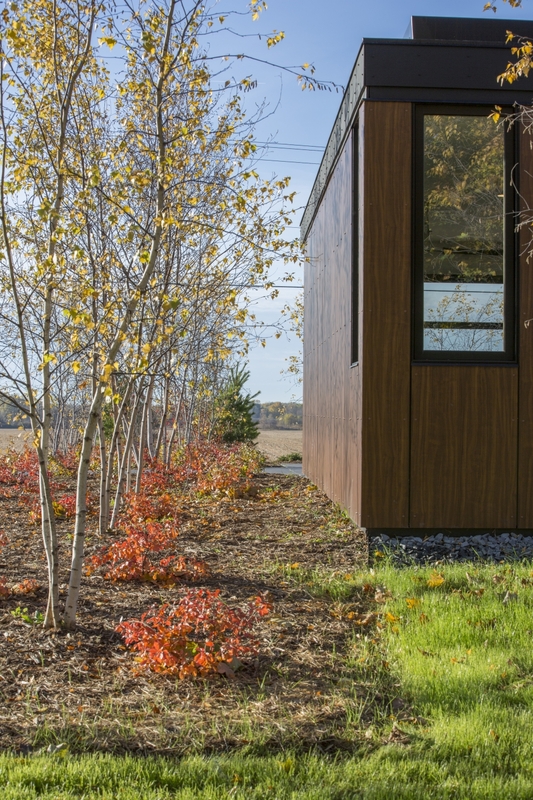 The mHouse aims to be the go-to residential research lab for tomorrow’s modern home.